Wharf Hotels will open the Niccolo Chongqing on 8 September 2017 in the mountain city in Southwest China. The Niccolo Chongquing hotel is located in the heart of Jiangbeizui, Chongqing’s new Central Business District. Located on the top floors of the hotel on level 61, The Conservatory will offer banqueting and the Niccolo Ballroom will accommodate up to 700 guests for cocktails and receptions. Additional event spaces will include The Courtyard on level four and 10 function rooms. The 252 rooms and suites will offer views of Chongqing’s mountains, skyline and the the Yangtze and Jialing rivers. Food and beverage venues will include Niccolo Kitchen and The Tea Lounge, Bar 62, offering live music and a panoramic view. In addition, the hotel will include a gym, spa with five treatment rooms and a 20-metre pool surrounded by windows looking over Chongqing. 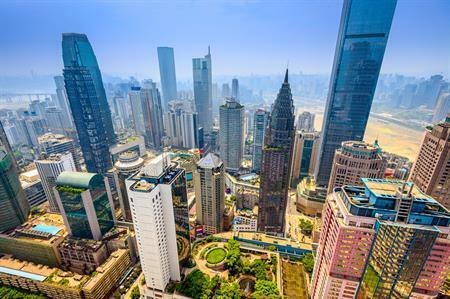 Niccolo Chongqing is 30 minutes’ drive from Chongqing Jiangbei International Airport with easy access to the metro station linking the rest of the city.